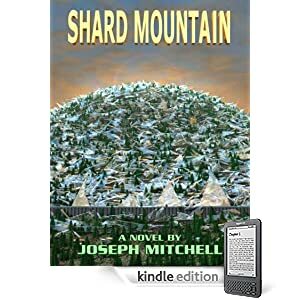 Shard Mountain is an epic science-fiction fantasy novel set in a distant post-apocalypse future America. Three young men involved in a highway accident are surprised to wake up not in a hospital, but in a dark underground tomb, five-hundred years in the future. They emerge to discover a world completely unlike anything they knew, where bizarre mutations are common among people and wildlife, and scraps of futuristic technology are dug from the ground like ancient buried treasure. They will have to learn to survive in this dangerous new world, and to unravel the mystery of what happened while they slept, to discover why they would be categorized as something other than human beings. The first of a series of short stories outlining the history of some of the Witchcraft Wars various characters. In this tale Slade, Wulfstan, Ursula and Ming are young recruits looking for mischief and adventure. When they hear about a marauding werewolf attacking local farmers the young teens decide this is exactly the kind of adventure they're looking for... but when face to face with the monster will the teens be able to prevail? A fun, action-packed adventure tale for teens and adults alike. 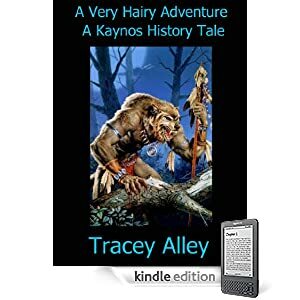 The Kingdoms of Kaynos have been at peace for nearly a thousand years. Now the ambitions of a dark sorceress armed with a new, deadly type of magic called witchcraft threaten to tear the Kingdoms to pieces. Locked deep in the bowels of Zeaburg's infamous, horror-filled subterranean prison the young druid Slade is haunted by a strange, recurring dream. A dream in which his beloved father, High King Erich of Vestland, pleads for Slade's help. Convinced of the dreams truth Slade must somehow attempt the impossible and escape the inescapable Zeaburg prison in order to find and save his father. Gathering an unlikely assortment of allies along the way Slade must not only find a way out of Zeaburg prison but must also find a way to prevent what threatens to be the bloodiest, most brutal war in the history of all the Kingdoms of Kaynos. Will an unimaginable alliance, an unlikely friendship and a forbidden love be enough to save the Kingdoms of Kaynos? It was meant to be a simple trade mission to Karameikos but an unexpected encounter with a massed force of skeletons and zombies has turned it into a night of terror. Everyone knows that the undead can only be destroyed with blessed weapons and High King Erich of Vestland, his son Slade and adopted son, Wulfstan have no blessed weapons with them. Wulfstan overrules the objections of King Erich and volunteers to venture out into the night to seek out a temple and find a way to defeat the deadly zombies and skeletons. Wulfstan knows that finding a blessed weapon is their only hope of surviving the night and protecting the man he loves like a father and Slade, his best friend. But the night holds many dangers and there is no guarantee that Wulfstan can succeed in his self-imposed mission. Now High King Erich of Vestland and his son, the Crown Prince, Slade wait in the darkness hoping and praying for Wulfstan's return. Locked in his dank, underground cell King Erich is feverish and dying. Running out of time and running out of hope he sends his daughter, the beautiful Princess Ursula, on a seemingly impossible quest. She must find the lost and ruined Temple of Life and secure the key that may mean the difference between freedom and slavery for the Kingdoms of Kaynos. 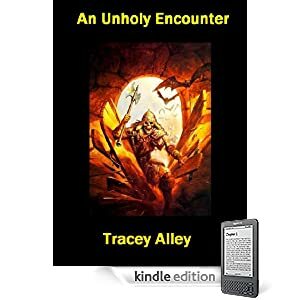 Meanwhile his son, the young druid Slade, continues his own quest to find his beloved father and stop the evil witch Shallendara in her plans for conquest. 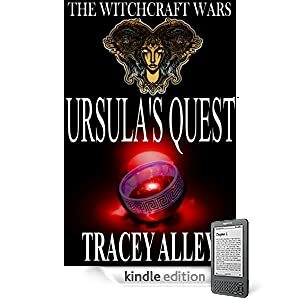 Betrayed by those they thought were friends and hunted from all directions Slade's quest seems as impossible as Ursula's. With more questions than answers Slade and his companions seek out the great Dragon Clans to the north for assistance. Yet Shallendara's quest for ultimate power will not be stopped so easily. Already her forces are gathering and war, once hoped to be avoided, is now imminent. Her allies the Oz'ke'lati and their psychic warriors seem almost unstoppable and the Kingdoms fate hangs in the balance. Also, if you have any thing to add to this post please comment! We would all love to hear what you think of any of the books posted, if you've already read them or read some of the authors other work. I'm offering a $5 Amazon gift certificate to five randomly-selected Facebook users who "Like" The Venom of Vipers fan page. All Likers as of midnight Dec 1, 2010 will be entered into a drawing that will be held on Dec 1 at 12:00 noon EST. Winners will be sent their Amazon gift certificate via Facebook. Click here to be redirected to The Venon of Vipers Facebook Page. Click on the blog name to be redirected to that blog to enter. Haunted Computer Books is hosting a Kindle giveaway and also has a "Pandora's Box" full of ebooks that will be given away as well. 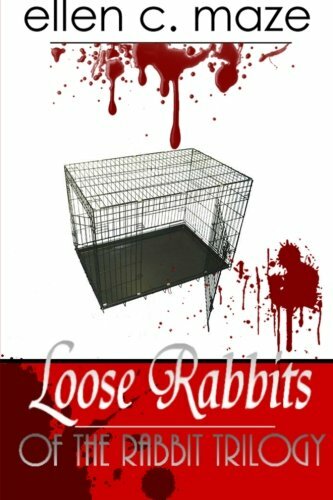 A delicious supplement to the Rabbit Trilogy, the vampire tales that have stunned all who dare to give them a read, LOOSE RABBITS is essentially 20 short stories featuring your favorite characters from the novels. (From the book cover) Some questions beg to be answered... * What was Javier like at age 8? * How brutal is First Ritual? * Why is Roman's twin, Kilmeade, so mysterious? * What was David like before he read Beth's book? * How did David meet Terrance, his favorite Cow? * Do the Cows worship their Rakum masters? * What is a typical day like for Rakum Jesse Cherrie? * How did Michael meet the artist Jeremy Grant? * What happened to Michael and Beth after the Last Assembly? * How did Abroghia convince3 Theophilus to reject the Rabbi from Nazareth? And many, many more answers inside! 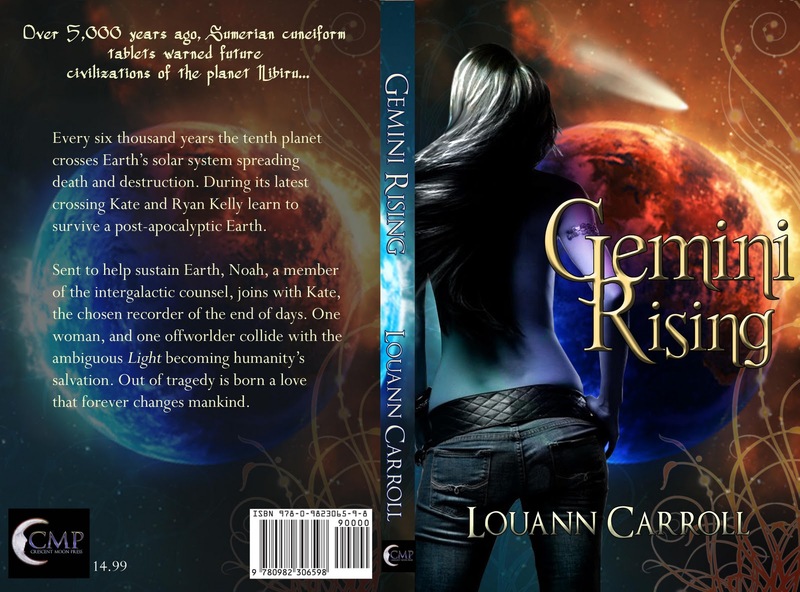 In a future where humans teeter on the brink of extinction, hope lies in the genetic experiments of Katie Marsh. A brilliant young scientist, Katie is hard at work perfecting a new species of humanoid resistant to the devastating virus afflicting mankind. But not everyone wants Katie to succeed. Certainly not the Human Purification Initiative, whose members seek to destroy all that Katie and her colleagues have accomplished. Confined to the lab that created him, Ryder Stone wants to live as a free man. 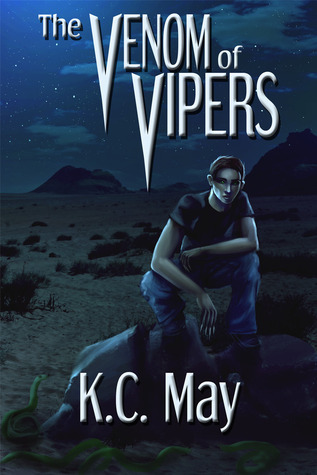 But Ryder, whose unique physiology may provide the cure for this viral malady, must tread lightly, for in his world, friends can sometimes be foes, and the helping hand of people close to him may very well turn out to be... the venom of vipers. She gave up everything to become a Salbine Sister, member of a religious order of powerful female mages. 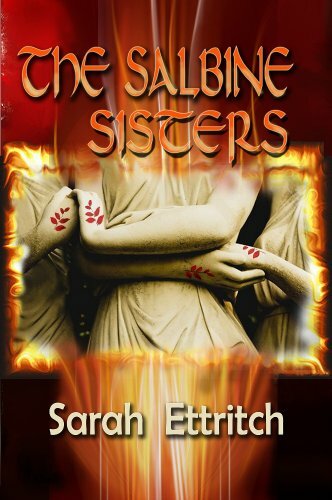 But when Maddy nearly dies while trying to draw forth elemental fire, she learns that Salbine has withdrawn from her the gifts every sister works to master. 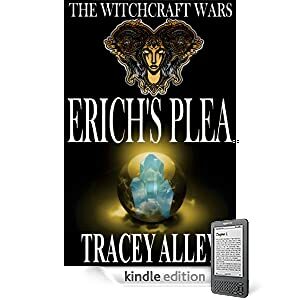 Feeling trapped in an order to which she no longer has any right to belong and believing herself unworthy of the love of Lillian, one of the most powerful mages in the sisterhood, Maddy begs the abbess to let her travel to another monastery to research her condition. On her journey, Maddy’s faith in both herself and Salbine are tested to their limits. The Yellowstone Caldera has erupted once every 600,000 years. We’re 40,000 years overdue. Lava flows stretch for hundreds of miles. A cloud of ash billows east, burying the Midwest, destroying crops, and falling upon the Pacific Coast like a warm, dead snow. The remnants of the United States flees south as the global temperatures plummet. These are the stories of the survivors. Late in the day I realized Color Me Grey was featured on Her Bookself! I didn't get much of a chance to tell anyone about it so I'm telling you now. Onto another subject. I was just wondering if there were a lot of you go shopping on Black Friday (today). I planned on doing it but the three kids and lack of money have stopped me once again this year. I will admit, the lack of money is the biggest reason. But, I did make an online purchase today. Someone once told me - Erica from Erica and Christy's blog, was that someone - Anyway, she said that if you put something into a parenthetical only those meant to see it will. As per her example: (Shhh - Just a few minutes ago I bought a Kindle 3 for my ten-year-old daughter for Christmas.) She's been asking for a Nintendo DS for about three or four years now but I'm not big on spending that much money on a "game" that she will use for a short time and then forget AND will distract her from other things, such as reading a good book. I'd heard there were supposed to be some good Black Friday deals for Kindles but did not run across them on Amazon at all. But $139 is a good price for what she'll be getting and it's CHEAPER than a Nintendo DS. Score two for me! If anyone is thinking about a good gift to give, the new Kindle is great, in my opinion. It's not too expensive and now you can gift books as well. I recently received a gifted book for my Kindle and it was SO cool to press that button in my email! Die Already by Kipp Poe Speicher gave out ten e-books as gifts and is the next book on my TBR list now. To make it easier for you I've included a link to the Kindle 3 below! Go out and get someone you love and who loves books a Kindle - or get one for yourself! It has been a while since I read Take the Monkeys and Run by Karen Cantwell but it is one of those books that will stay in my memory for a very long time to come. It was a fun and light read! Karen Cantwell's next book, The Chronicles of Marr-nia, is on my short list in my To Be Read pile! Click below to get your copy! A hit man who can't remember his phony name screws up. His victim lives long enough to describe him. Ex-cop turned attorney Neville Hartley agrees to help Nicky Findlay’s father resolve a debt to a shady lender. Findlay saved Neville’s brother’s life. It’s Neville’s turn. With assistance from a popular newspaper columnist, Neville figures out the shady lender caught the father in a mortgage scam. The old man is about to lose his house. Worse, the shady lender gets wise to Neville and puts Neville's life in danger. Then the forgetful hit man comes after Neville, too. In an attempt to redeem a shattered life, beautiful Arizona Douglas, an aging, down and out exec, and former shady lender employee, assists Neville. With her help, Neville uses his unerring (sometimes) sixth sense about people and discovers the shady lender is backed by a Wall Street darling who's either an investor with 'vision', or the SEC hasn't caught up with him yet. To help the old man, and smoke out the killer, Neville and Arizona come up with a scam shadier than the lender’s darkest imagination. Only this time, the bad guy is the mark. Alex Teague tried to live a normal life. He was a normal high school senior . . . until he talked to his first ghost, exorcised his first demon, and cleansed his first haunted house. If only it ended there. Now a young man in his twenties, Alex makes a horrifying discovery. Vampires, ghosts, things that go bump in the night. They're out there. Some are good, others not so much. Good thing Alex Teague isn't quite so normal himself. Alex is unlike anything supernatural that has ever existed. He can walk through walls. Talk to ghosts. He can even fly. But will that be enough for him and his mentor Victoria to save the city from a new breed of vampire? She gave up everything to become a Salbine Sister, member of a religious order of powerful female mages. But when Maddy nearly dies while trying to draw forth elemental fire, she learns that Salbine has withdrawn from her the gifts every sister works to master. Feeling trapped in an order to which she no longer has any right to belong and believing herself unworthy of the love of Lillian, one of the most powerful mages in the sisterhood, Maddy begs the abbess to let her travel to another monastery to research her condition. On her journey, Maddy’s faith in both herself and Salbine are tested to their limits. When she attempts to draw fire and fails horribly, frightened townsfolk throw Maddy into prison. Fearing that the abbess will never learn her fate and rescue her, Maddy resigns herself to a short and brutal life. The only bright spot in Maddy’s existence is Emmey, the pickpocket with whom she shares a cell. Through her and the steadfast love of Lillian, Maddy learns that Salbine’s purpose is not always the same for everyone, and that love and compassion are more valuable than magic. Romance, fantasy, betrayal and forgiveness are the driving forces behind BLISS AND GRIEF. Incubus Colton confesses his love to his human best-friend Daphne, knowing that it's forbidden for an incubus to fall in love. He is immediately recalled to a nightmare world called Grief for punishment, where he is bound in servitude to a plant monster and forced to seduce dreaming girls to survive. Colton must choose to stay in Grief forever or take a pill that makes him forget Daphne entirely. 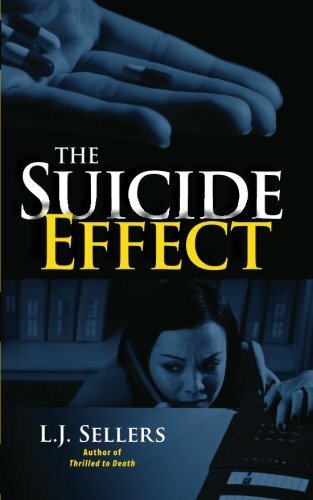 As thoughts of the pain of neglect flood his mind, he impulsively takes the pill, and but then immediately regrets it when he relives blissful times with Daphne. Will he find a way to undo its effects before the police recapture him and take him to the torture chambers? Or is he destined to return home without love for the only girl he has ever loved? When 16 year old Dash goes to summer camp, he sees a beautiful ghostly girl in a mural. One night, she pulls him into the mural, where they bond and fall in love. He finds out that she's bound in servitude by a demon, who marries her off to an even stronger demon. Can Dash rescue the girl before she is married off? Or will she suffer in death, as she had in life? A PHANTOM LOVE STORY explores how the love of a good girl can change the life of a boy forever. Jason W. Chan is a Canadian citizen. He is also a University student as well as a civil servant. He loves to read and write. His favorite writers include Anita Shreve, Stephen King, Marian Keyes. His favorite films include Titanic, Beauty and the Beast. As for music, no one can beat Celine Dion. Click below for your copies! Cameo, the hard drinking assassin with corpse-like eyes, Black Opal the silver-tongued highwayman infamous for his prowess with a rapier, and Kyrian the innocent young acolyte journey to Shandow with a mission from Cameo's vampire master. Along the way Cameo is ambushed by the other vampire, who it seems, has been waiting for her. Black Opal is plunged into danger as his past is revealed, and he is forced to face his demons head-on. An old nemesis returns, and Cameo must make a choice that will cost her the last shred of humanity she has left. Again, this is one I read a while ago but this one will be in my memory for a long time to come. I enjoyed this book because of the underlying story. The thought of people that are just like us (human) but not (Mengliad) is great. The author, Jana Janeway, did an excellent job of making this very complicated concept simple to follow. I will say I was unhappy with the ending because I was left feeling unfulfilled - but there is a promised sequel - if I'm remembering correctly. I'm anxious for that day to come! I say, "Give it a try!" The Mengliad is currently at 99¢ at Amazon in Kindle format and $11.99 for a paperback. "There are a lot of beliefs out there. Some people think we got here by spacecraft. Some think we evolved, like Humans, but in a slightly different direction. Some think we were created by God, after Adam and Eve were banished from the Garden of Eden. However we came to be, the truth of the matter is, there are two species that are near-identical in every way that inhabit the Earth. One is Human, one is Mengliad." What would you do if you learned that there was a separate Human-like species on the planet? Jessica Mitchell is about to be faced with that very question. The strange flu bug she seems to have caught quickly becomes the least of her worries. While on her way home from work, she passes out in Central Park, only to regain consciousness hours later, under the gaze of a kind but odd stranger. This Good Samaritan offers his assistance, and subsequently opens the gate to a world she knows nothing about. Initially, Jessica is reluctant to believe what Craddock Daniels tells her, but after the unsettling reality sinks in, she feels she has no choice but to follow him and his friends. Changes are taking place, and she is now in danger because of them. Will Craddock be able to protect her? Does Jessica possess the strength to endure all that is happening to her? Can love really blossom under the direst of circumstances? THE MENGLIAD is a romance adventure novel with a sci-fi flavor. At over 112,000 words, this story evokes a sense of how horrible it would be to have everything you knew pulled from under you. Today I'm going to do something a little different. I'm going to feature an author instead of a book. I met Adrian Ludens a few years ago at our local writers group. He had entered their writing contest and won! I was fortunate enough to be at the meeting in which he read his winning story. To say the least, I was captivated. Since then I've had the extreme pleasure to have read several of his stories. I don't think I need to say I really enjoy his writing. Our little local contest isn't the only contest he has won. He has won the "Mysterious Photograph" writing contest hosted by the Alfred Hitchcock's Mystery Magazine - TWO MONTHS IN A ROW. May, 2008 issue and June, 2008 issue. He has an Amazon author page you can check out to see how prolific of a writer he is. Below you will find an anthology he is a part of. Bonded by Blood II is a "best of" collection of all the Stories of the Month from the SNM Horror web site. It was voted #6 in best anthologies in the Editors and Preditors poll. My story included is called "Cold Feet". What lengths will a mortician's assistant go to for the man she loves? Imogen Rose has released her third book in the Portal series! A whole year has passed. It’s October again… or is it? As California teen, Arizona Darley, contemplates traveling back through the portal to seek out her dad, her life is plunged into a whirlwind ride through the unknown. But this time, she doesn't disappear through the portal. Has Arizona been kidnapped–again? Is Raj Sen to blame? Could Dillard have taken her? As Kellan, David and her parents launch a frantic search with the help of the Wanderers, it becomes apparent that things are much more complex than they seem – for all of them. While investigating her daughter's latest disappearance, Olivia faces shocking revelations about the Wanderers and her life with Rupert. In the meantime, what's happening in New Jersey? Are both of Arizona's worlds about to collide? Quantum is the third book in the Portal Chronicles. Catch the start of Arizona’s adventures in Portal and Equilibrium. Click below to get your copies! I thought I'd take a little time to update everyone on my NaNo adventure. This has been a great experience and something I'd be willing to repeat at least once a year. The response I've received from my Facebook updates and my "Suggest My Next Title" page has been great! Also, I've met quite a lot of people I would never have without NaNoWriMo. Some of them are local authors and some of them are online friends. Each and every one of you has been very supportive. However, I do see some downfalls to writing almost non-stop for a month. Nothing else gets done! My blog has suffered, my promoting has suffered (as well as my sales) and my household has suffered. Okay... my household suffers on a daily basis anyway. The house is never clean and the poor family have to live with ME. As of the writing of this (Sunday November 14th) I have reached 32688 words and have 17312 left to make my 50,000 NaNoWriMo goal. My story has come together very nicely - compared to my previous books with the exception of Color Me Grey. This one has been a complete joy to write and I know it's because of the feedback I've been receiving. There's nothing that compares to writing with an audience. I am still asking for title suggestions. Though I absolutely love every one I've received I have not yet gotten one that really sticks out at me. However some of them come VERY close. I may be in the market for beta readers sometime in the near future and if you'd like to be one of the first to read my book (if) when I complete it, let me know. Here's some extra news I just found! I have a new review up on Amazon. I'm not into long reviews, but I figure authors like to know if someone enjoyed their books - so here it is. I found this author through the Kindle facebook page, read the first book in the series, and immediately purchased the other two books. Author Jenelle Leanne Schmidt is giving away a FREE hardcover, 1st edition, signed copy of "DAWN OF THE DRAGON'S EYE" on her Facebook Fan page. Contest ends on or around November 17th. "On Monday, my guest was author Barb Goffman who specializes in mystery short fiction - and I might add, she specializes very well, as she is a two-time Agatha nominee! One of her most recent stories appears in this week's giveaway, Murder to Mil-Spec. Murder to Mil-Spec is a series of military-related short stories published by Wolfmont Press and they are giving all profits to an AMAZING CAUSE: Homes for Our Troops. To read more about this charity, CLICK HERE and visit Wolfmont's site where they explain more. To honor our veterans during this week of Veterans Day remembrance, I am personally donating $5.00 for every Murder to Mil-Spec sold through this blog. It's a great cause and you'll get a wonderful collection of stories at the same time! PLUS you can enter here for a FREE COPY through my giveaway this week! How do you enter? LEAVE A COMMENT TO THIS POST SAYING YOU WOULD LIKE TO BE ENTERED. SIMPLE! AND TELL YOUR FRIENDS TO COME ENTER TOO! The more people who know about this GREAT CHARITY the better!" When Sula overhears a shocking revelation about a drug being developed by her employer, she’s paralyzed with indecision. She desperately needs her job to gain the judge’s favor in a custody hearing for her son. Yet hundreds of patient lives could be at stake. Two days later when the drug’s lead scientist disappears, Sula is compelled to search for the incriminating data. But Prolabs’ CEO is a desperate man determined to stop her. Can Sula get the proof and expose the drug’s fatal flaw before the CEO risks everything to silence her?